July 9, 2012—Popular bloggers and authors Dillon Burroughs (Undefending Christianity), Daniel Darling (Real, iFaith), and Dan King (The Unlikely Missionary) have signed a new deal with Navpress, it was announced today by agent Tamela Hancock Murray of The Steve Laube Literary Agency, who negotiated the groundbreaking deal. 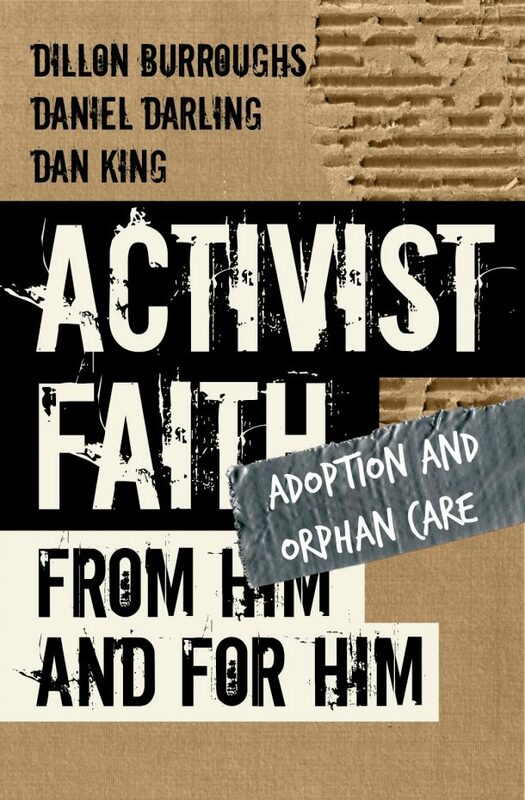 The book, with the working title Activist Faith: Changed Lives Changing the World, is scheduled for release in July 2013. Burroughs described the partnership as “a dream come true for us and our supporters,” and reported he was excited to work with Navpress, one of the premier publishers serving the millennial generation, whose works includes Eugene Peterson’s The Message and Greg Laurie’s Lost Son. “This team is changing lives all over the world through their creative online efforts,” Murray said, noting the growing popularity of ActivistFaith.org, with its exploding social media and online fan base. Darling’s columns and guest posts have been read everywhere from Relevant Magazine to michaelhyatt.com to The Washington Post’s “On Faith” column, in addition to his ongoing contributions to outlets like Crosswalk.com. King’s popular BibleDude.net portal reaches thousands of 20-somethings each month, furthering his efforts through his social media work for TheHighCalling.org and HELPOneNow.com. Burroughs blogs daily for Beliefnet.com, the world’s largest spirituality website, and posts thoughts on his handwritten Bible project at HolyWritProject.com, hosted by the world’s top religion website, Patheos.com. With tens of thousands of followers already clicking, tweeting, and sharing their daily inspirations, Activist Faith may launch a new type of book that serves as one piece of a larger “faith in action” movement for the next generation of Christians. For more information about Dillon Burroughs, see DillonBurroughs.org, Facebook.com/readdB, or @readdB on Twitter. For more information about Daniel Darling, see DanielDarling.com, Facebook.com/DanielDarling, or @DanielDarling on Twitter. 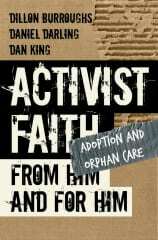 For more information about Dan King, see BibleDude.net, Facebook.com/BibleDude, or @BibleDude on Twitter. Find out more about The Steve Laube Agency at SteveLaube.com. Thanks Allen! You rock dude! Awesome. Awesome. Awesome. God is up to something big! Ya think? LOL! And dude… I’m glad to have you as part of the team here at bibledude.net! We’re definitely gonna keep this momentum rollin’! Get ready for the ride! Yaaay for the Dude and his buddies! Thank you for always being such an amazing cheerleader Les! You’re awesome! This is exciting news. Congratulations! All for Him! Dan, my friend, I am so happy for you. Blessings blessings blessings upon you three…. Thanks David! We’ll have to celebrate a bit at Laity Lodge in the Fall… do you think I can convince them to stock my books in their bookstore? The “changing lives” part gave me chills. You already are, friend. You already are. Thanks Amy! I’m just honored and humbled that He is using me to do crazy stuff like this! I never would have imagined… I get chills every day thinking about the opportunity to be a vessel for His Message! What God-grande news! Congratulations and heaps o’ blessings! love this… “God-grande”… thanks Darlene! SO PROUD OF YOU! 🙂 Honored to be not only your friend but also on the team here at BibleDude. i appreciate our friendship too duane! and we may be slow and steady around here, but we’re definitely making things happen. i’m not only excited about this book deal, but about where things are headed with all of us here at bibledude.net… it’s definitely an exciting time! woot! woot! i feel like we’re a couple of owls having a party! YEAH, DUDE. You go, man. Yes you do! Fist-bumping with both hands and maybe a foot or two! And elbows too! thanks Diana! Woot! AMAZING! 🙂 Congrats, Dudes. Jumping up and down and celebrating this alongside everyone. Important work by amazing author voices with something profound to say… can’t wait.